Charlie Sheen is done with the “idiots” that make Two and a Half Men for CBS and says he’ll move on and “make movies with superstars”. It sounds like a good plan for good ol’ Chuck, but I’m curious; Has anyone explained to him that he’s been the weak link of the show this season? I know that there are a lot of people that would argue that this show has always been garbage and that Sheen has gotten rich playing himself for the last 8 years, but anyone that has watched regularly over the years can tell you that since his life has famously spiraled out of control over the last year or two, his performance as well as his appearance has suffered greatly. Part of this also could be attributed to the writers who have had no problem playing up his character’s drinking even more than usual this season. Maybe they had to because he’s really always drunk? I can’t say, but the show has definitely been less enjoyable this season for the first time, mostly because Sheen’s true life shenanigans have made the Charlie Harper character sad instead of funny. All that aside, what’s quite possibly the funniest part of this latest meltdown is the idea that he’s threatening to walk from the show to make movies. Reading that would almost make you think that he’s had a pretty successful career as a movie actor. Men At Work (1990) – Co-starring brother Emilio Estevez, this is a movie that a lot of us actually liked a lot back in the day, but it’s hard to believe that it would stand up today. Three Musketeers (1993) Here’s Charlie as the legendary Aramis in the Disney adaptation of the classic tale. Co-Starring another of Hollywood’s seemingly troubled actors, Keifer Sutherland, Disney would definitely consider doing a sequel today. The Arrival (1996) saw Charlie as an astronomer discovering alien life. Money Talks (1997) co-stars Chris Tucker in his prime. Maybe we’re getting closer to the superstars that he’s talking about. 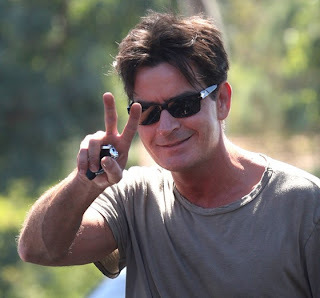 I’m not sure what the future holds for Two and a Half Men or Charlie Sheen, but I’m thinking someone has to get the pipe away from him and quick. For the sake of the fans of Ricky Vaughn! Wait - no mention of Cadence (actually a VERY good movie). Eight Balls on the hands!!!!! Even if you want to include Cadence, it was made in 1990! 20 years old! Good luck Chuck! He's not in that is he? His career is in such disarray right now that there's word that they may write him out of Major League 3! Think about that for a minute. The producers of that movie would rather do that sequel without him, the only marketable star in the franchise. Whoa - Willie Mays Hays was the best charcter - damn omar epps. The original Willie Mays Hayes is in jail still I believe!